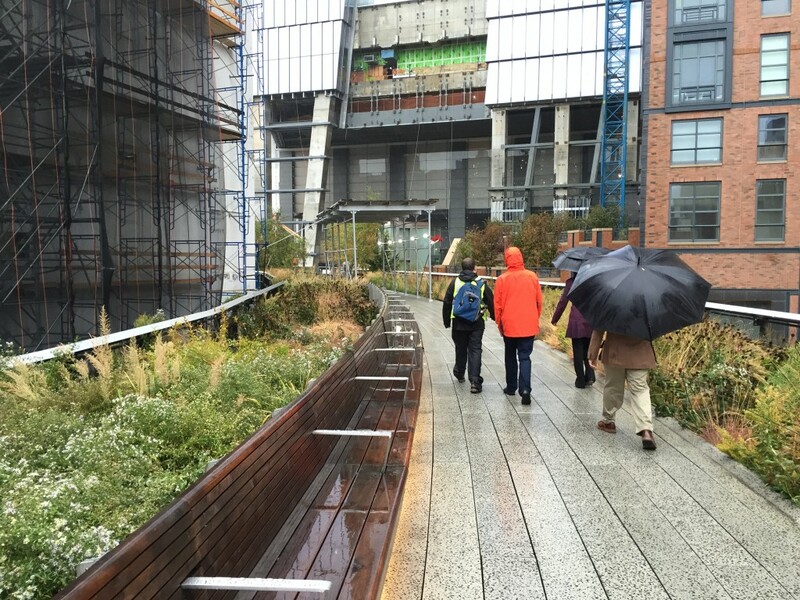 Led by Alan Erickson, BuroHappold Engineering, and Christopher Vitolano, Langan, the High Line tour began on the street level at the southern-most tip of the linear park. 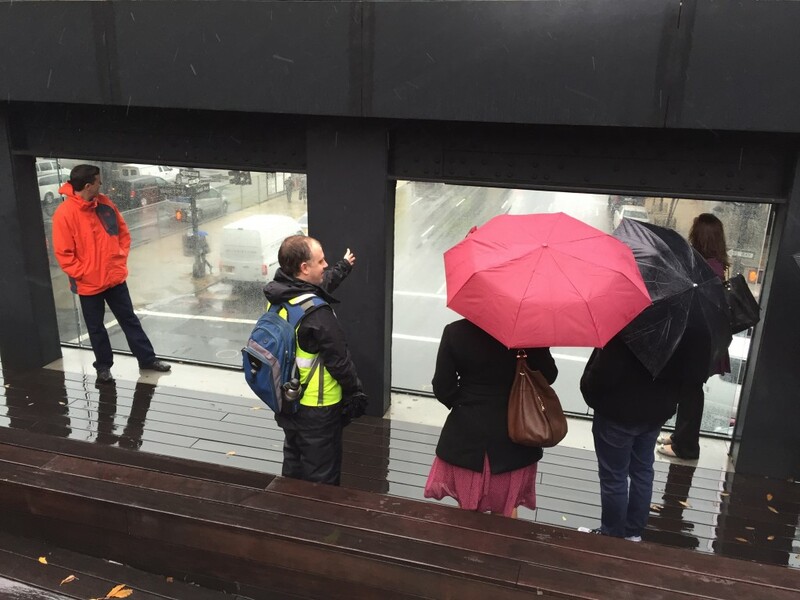 While taking shelter from the rain underneath the High Line, the tour guides gave some background on how the High Line took its current form. In the 1920s, an elevated rail line was created for transporting freight to and from the St. John’s Terminal. 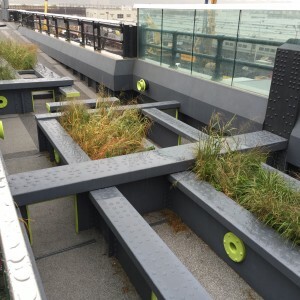 The High Line is located on the West Side of Manhattan, an area of town that was mainly known for its meat packing and dairy warehouses at the time of the railway’s original construction. The railway serviced these businesses by provided them an easy way to move their products in and out of the city. The railway was in service from the 1930s to the 1980s, and in the 1990s they began to tear down sections of the railway as the area transitioned into a residential neighborhood. City Hall and property owners in the area moved to have more of the railway torn down in the 2000s in order to create more profitable space. 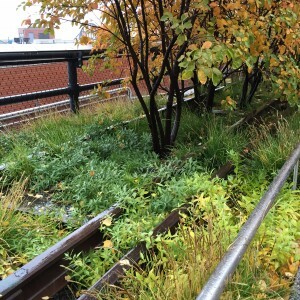 But as nature began to overtake the abandoned railway, activists started an initiative to save the High Line. 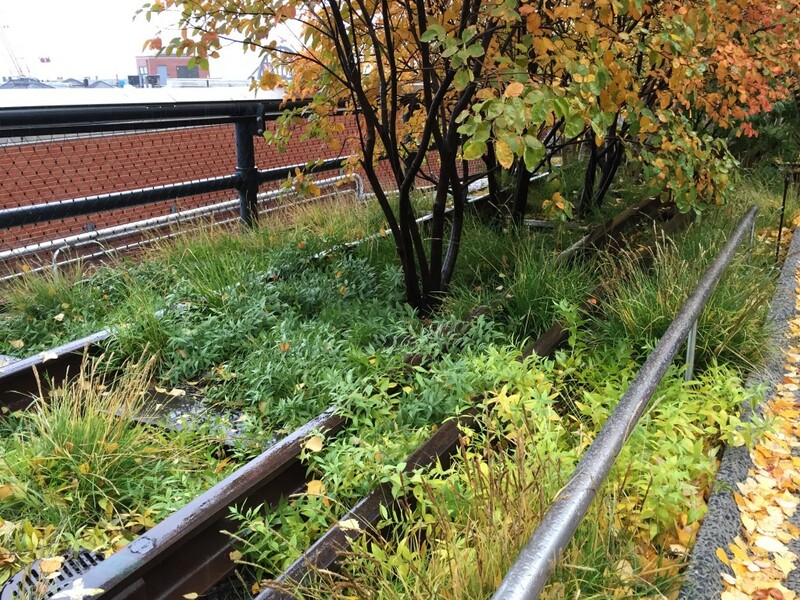 After a period of legal battles, and the changing of mayors, the High Line was officially saved and the process of turning this abandoned railway into public space began. 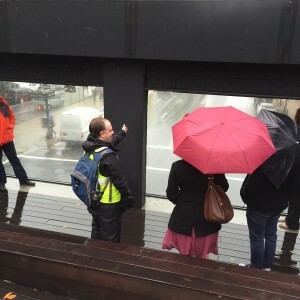 With this the tour group ascended the stairs and began the tour. 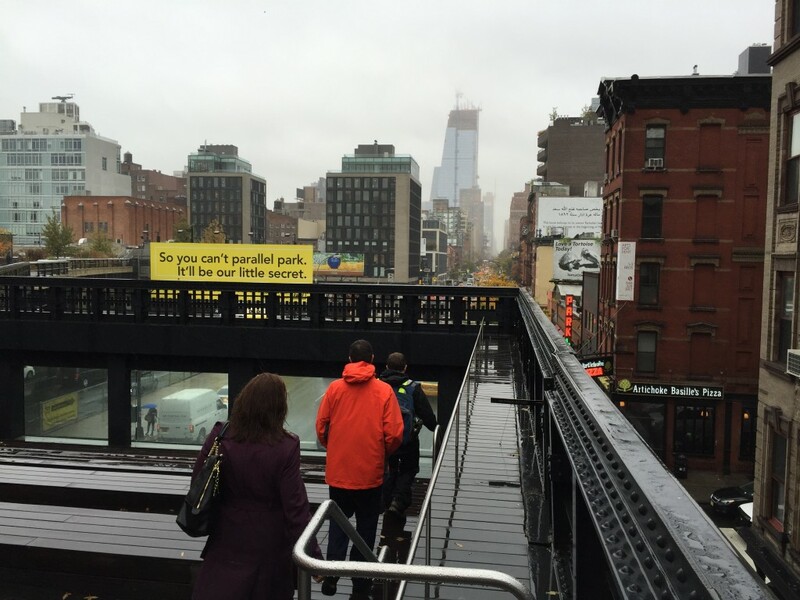 Even though it was a gloomy day, the beauty of the High Line was apparent. 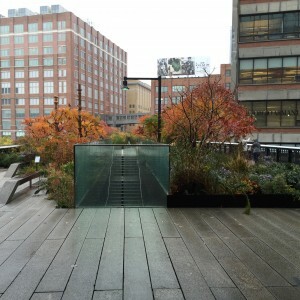 Weaving around, and through, buildings in the neighborhood, the High Line is a long walkway filled with trees and greenery, benches and overlooks, and even a small play area for kids. 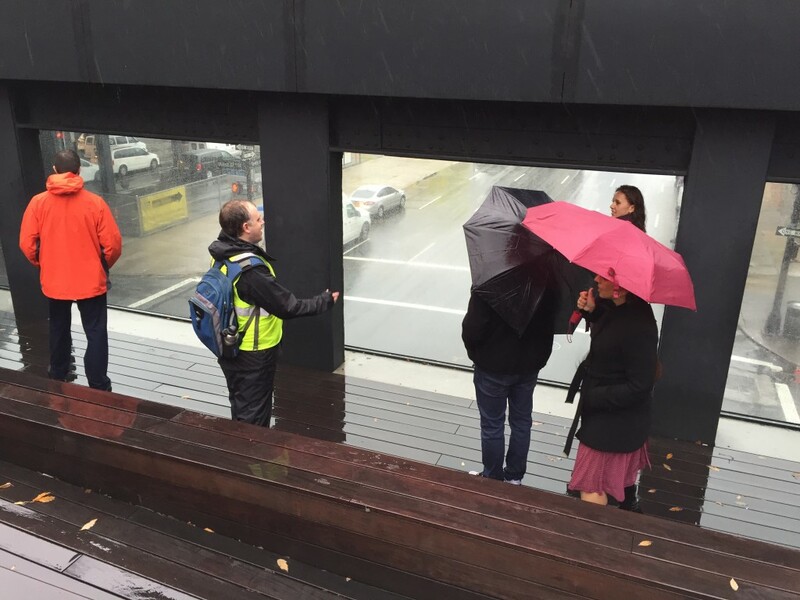 The space is perfect for long walks and opportunities to take in the surroundings, or simply to sit and have lunch. 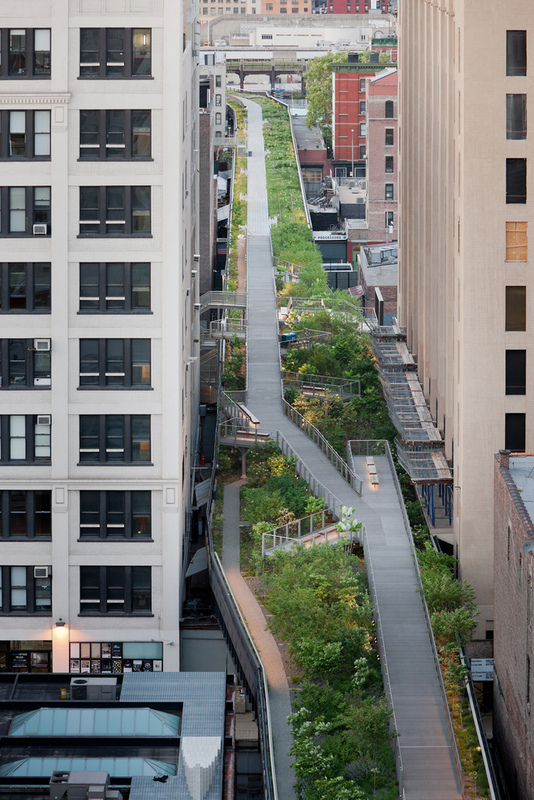 There are several overlook areas where visitors can sit and observe the bustling city below. 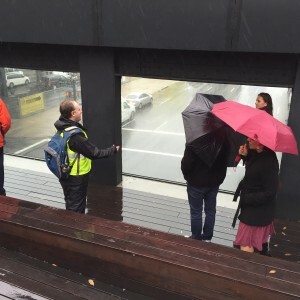 As the group took shelter in one of the covered sections, the tour guides described some of the other proposals for the railway, which included lap-swimming lanes and a giant roller coaster. 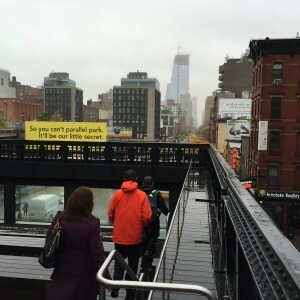 The next stop was the overlook above 10th Avenue Square. 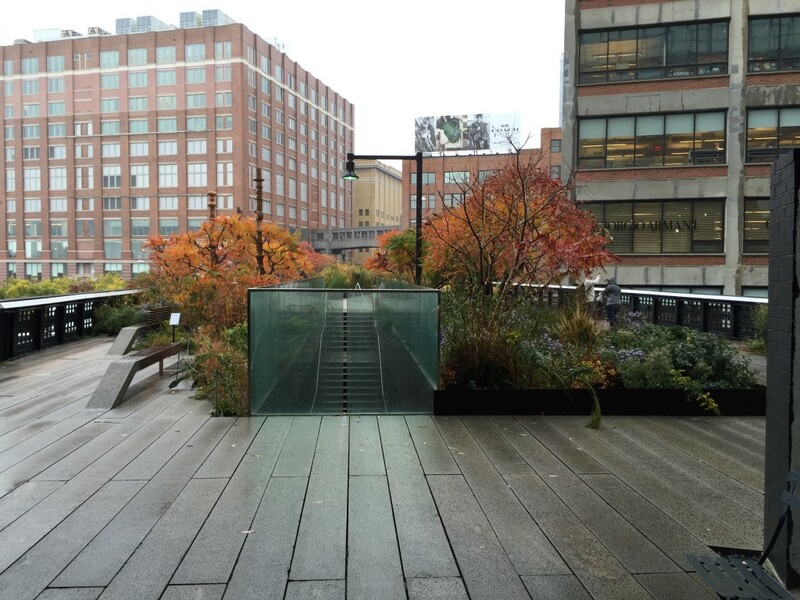 This overlook contains a large amount of seating and a glass window, allowing visitors to observe all of the activity in the square. 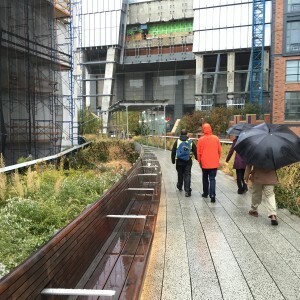 The tour concluded with the Hudson Yards section of the High Line. 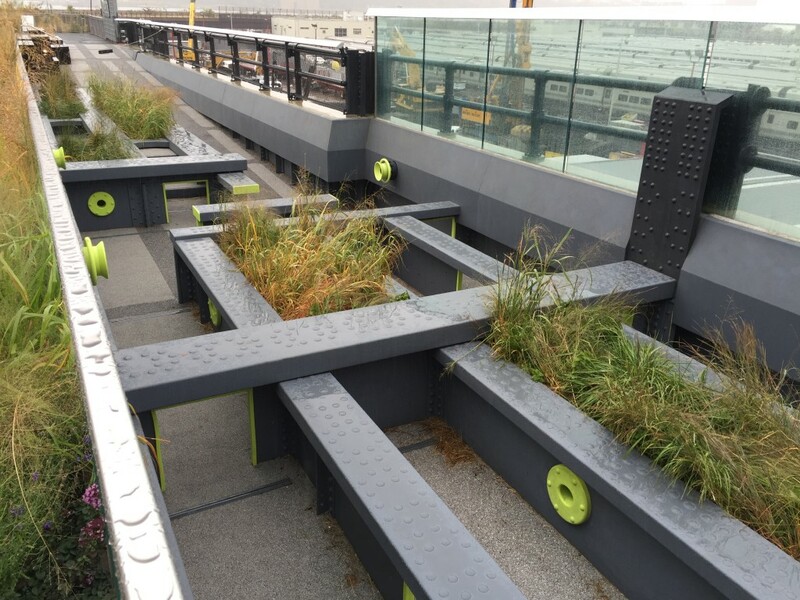 This area was not quite as finished as the previous sections, but there are major plans to furnish this area soon. 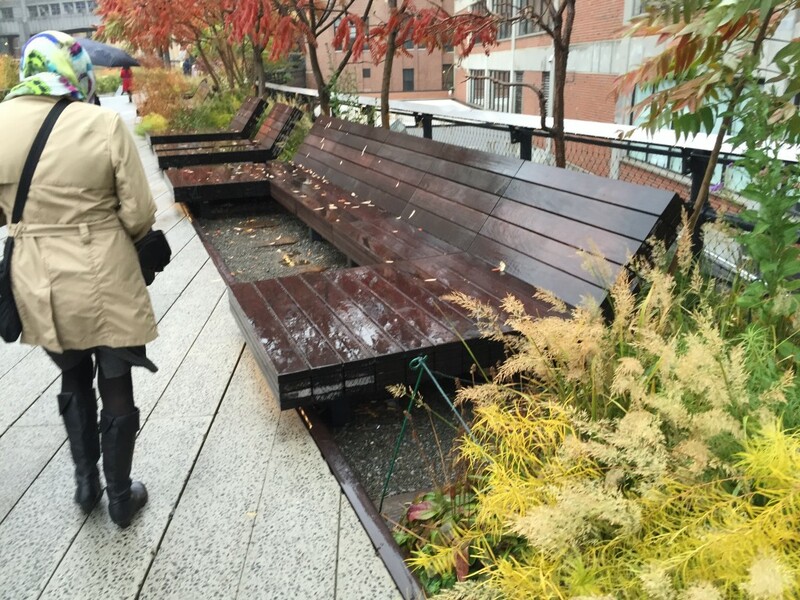 As you move north on the High Line, you notice that the furniture designs change slightly. 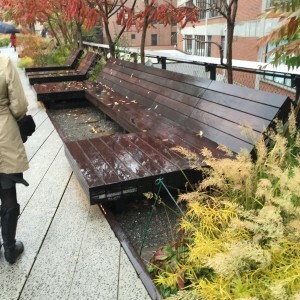 Benches along the path look similar but have slowly evolved with new accents and features, which makes for a fun edition to this public space and allows the path to avoid monotony.